The MA Dance and Contemporary Circus reflects the growing trend within the Dance and Contemporary Circus sectors of artists exploring and blending each other's practice. 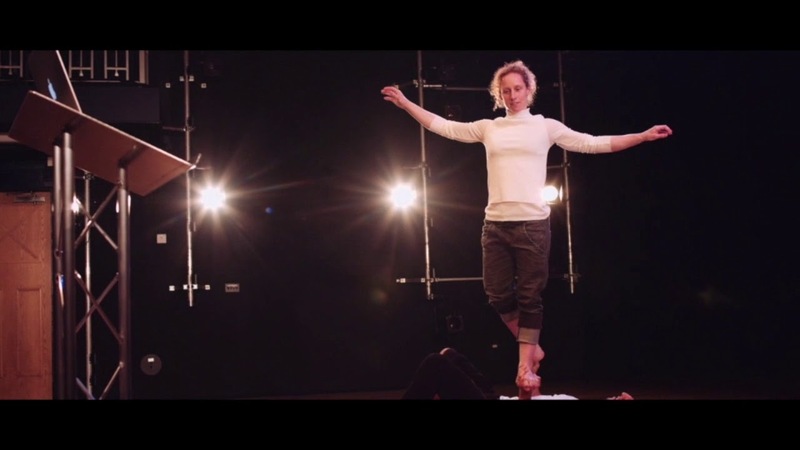 This MA is the result of Déda's and the University of Derby’s recognition of the need to create a postgraduate course which reflects the growing trend within the Dance and Contemporary Circus sectors of artists exploring and blending each other’s practice. Artists are naturally fusing the two forms and there is a need in the UK to create academic resources as is happening in mainland Europe including Sweden and Netherlands. There are currently no institutions in the UK offering artists a place to research and develop this growing hybrid work - Déda feels like a natural home given its focus on Dance, Contemporary Circus and Outdoor Performance. 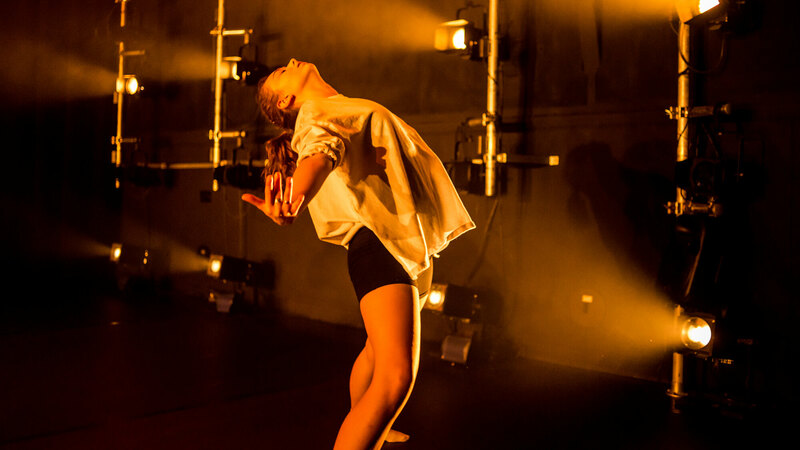 The MA will build on the success of the undergraduate programme BA (Hons) Dance which launched in 2014. As part of the undergraduate programme, a foundation is offered in aerial and acrobatic practice. Creative Skills (40 credits) – Practical module to hone your skills in Dance and Contemporary Circus creation. Advanced Research Methods (20 credits) – Theory module designed to enhance your academic research skills to support your practical research. Creation Lab (40 credits) – A practical research and development period in which to explore deeply into an idea or concept. Seminars will be tutorials and guidance in how best to utilise intensive research-and-development sessions. Working as an Entrepreneur (20 credits) – Lectures and seminars to enhance your skills in applying for funding, creating your own company, responding to briefs and commissions, and health and safety regulations. Major Project (60 credits) – A student-led negotiated project that continues in your key area of practice and research. Outcomes can include performances, exhibitions, papers, lecture demonstrations. You will learn in the working environment of Déda, a sector leading organisation for Dance, Contemporary Circus and Outdoor work. You will learn through Creative lab sessions in our Dance and Contemporary Circus studios, where you will be able to try out new ideas on your peers, yourselves and others that you choose to work with. You will be supported by the MA Programme Leader, as well as specialist guest lecturers from the Dance and Circus sectors. Déda will be central to the design and delivery of the learning experience, with input from sector professionals Stephen Munn, Clare Limb and Phil Hargreaves. There will be an opportunity to conduct practice-based research at Tuyo Circus in Nottingham, where there are further Contemporary Circus facilities in addition to those at Déda. You will be able to create work to be professionally presented by Déda’s Technical Stage Management Team in the Déda Theatre or at an alternative venue/location as required. You will be assessed through a mixture of papers, practical demonstrations, performances and vive voce (oral examination). Take a look at our facilities in the 360 virtual tour below. Applicants should normally hold a first degree and have a minimum of three years relevant professional experience. Equivalent experience and achievement will be taken into account for applicants with less formal qualifications. Evidence of equivalence of knowledge, understanding and skills appropriate to a first degree are required. Recognition of Prior Learning (RPL) is used both to provide evidence of equivalence for entry and as evidence of advanced standing for entry. Applicants can be awarded up to a maximum of 80 RPL credits on proof of articulation with the programme content. Where English is not the first language for international applicants, applicants need to provide a minimum IELTS score of 6.0 or equivalent. Students, especially those who enter with this minimum score, are encouraged to engage with additional study in order to develop their knowledge and application of academic English. Students who complete this programme will be able to produce their own work which is ground breaking in the crossing over of Dance and Contemporary Circus. You will be pioneers in this field and it is therefore anticipated that you will either have your own companies or undertake commissions for work from other parties.